A great idea for valuable community service for our terriers. Bossy and Bark Border would LOVE this service dog gig. How about your terrier? The end of semester can be a tough time, with students feeling the crunch of big assignments and cramming for exams. Add to it the lack of sleep, eating badly and more than a few drinks, and it’s pretty easy to get stressed out. And we know, there are plenty of ways to fight stress — but Dalhousie University is trying out a new way: Puppies. The Halifax university is creating a puppy room for on December 4th, 5th and 6th to help students cope with the stress of exams and end-of-term assignments. Not surprisingly, news of the puppies has been met with excitement. A Facebook post published to the Dalhousie Student Union’s page on Wednesday has already been shared more than 300 times in two hours. “My major paper is due at 4 PM on the 4th… I will beeline it to the Puppy Room,” wrote Dal student Jimmy Tennant. This entry was posted in Behaviour, Terrier Community, Terrier Service Dogs, Understanding Terriers and tagged animals, Dogs, emotional capacity of dogs, empathy in terriers, Joy, life, nature, service dogs, terriers, Togetherness by Toni. Bookmark the permalink. Thanks for following! And congratulations. Your first terrier? 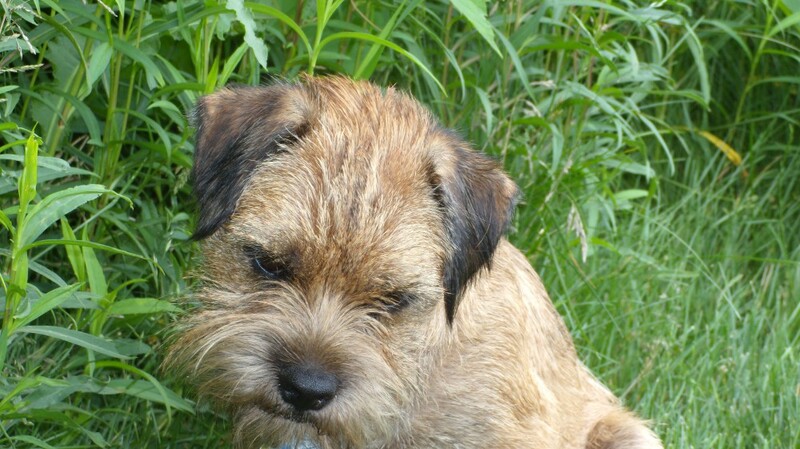 What made you decide on a Border Terrier? Don’t hesitate to question here.